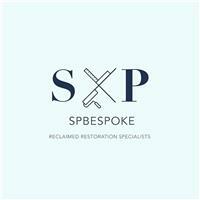 SP Bespoke - Carpenter based in Rochester, Kent. Thank You for taking the time to view my check-a-trade page. I have been working as a carpenter for nearly 10years and painter/decorator for almost 7 years. I am honest, trust worthy, clean and hard working. SP Bespoke started after carrying out almost 6 months’ work on a Victorian terrace in Balham where the client had collected such a vast and wide collection of period and worldly items that we reused, recycled and rebuild in to his home. I saw that what some people might throw away or re-modernise can be reused or repurposed in to something amazing. It gave me such passion from moving away from the modern everyday carpentry and back to in my mind how it must have been many years ago. At SP Bespoke we specialise in reclaimed carpentry/joinery. I also work on restoring period features in Victorian, Edwardian and Georgian properties. We love working with and sourcing reclaimed materials which includes but not limited to timber, doors, period features, cladding etc. This also includes preparing and making these materials usable to work with but not taking away from the texture and character. I pride myself on trying to find and reuse original materials but sometimes if this isn't possible we will remake them and age them to match the original interior. I also carry out high end painting and decorating. I take such pride in my carpentry work that I found I was always let down by the finish of another painter/decorator when I came back to take photos or sent photos by my client. This is why I offer a complete package of carpentry and decorating which is tailored to your needs and budget. I have been very lucky to be featured in both EKBB and 25 beautiful homes 2017. I’ve also been lucky to have carried work out on some Celebrity musical client’s homes. Please take a look at photos as I belief my work always speaks for itself. Patch filling/wall prep for wallpapering/ Painting, Dot and dabbing plaster boarding in small areas. From full house redecorations to one room decorating work no job is to big or small. Ageing, Distressing processing of woodwork and furniture undertaken. Thank you for taking the time to look through my page and if you have any questions or queries please don't hesitate to give me a call.